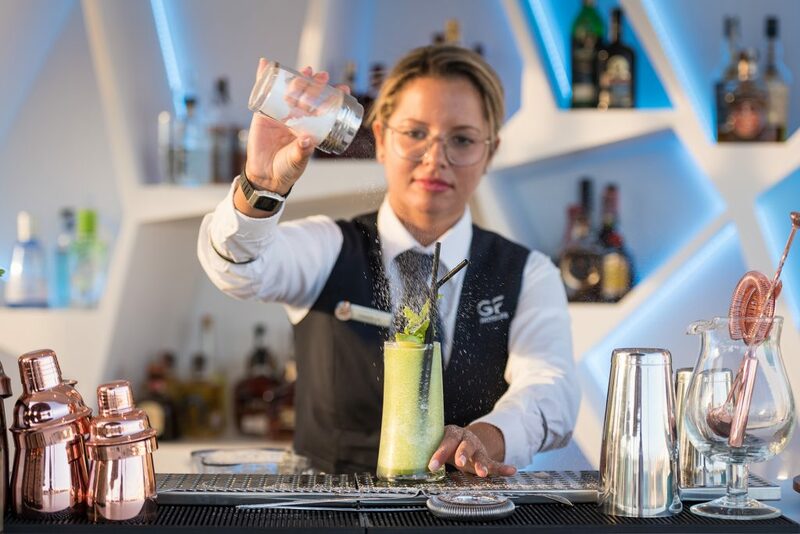 Continuing with our efforts to make known the best of the island’s cocktails, from the Hotel GF Victoria ***** GL, on this occasion we would like to present one of the persons in charge of our luxurious chill out terrace, Sky Zambra and our unique Lobby Bar Los Naranjos. With a large experience that includes places like Barcelona or London, Daniela Garbi tells us how her new stage in the hotel is planned and what the guest can find who is advised by her recommendations. 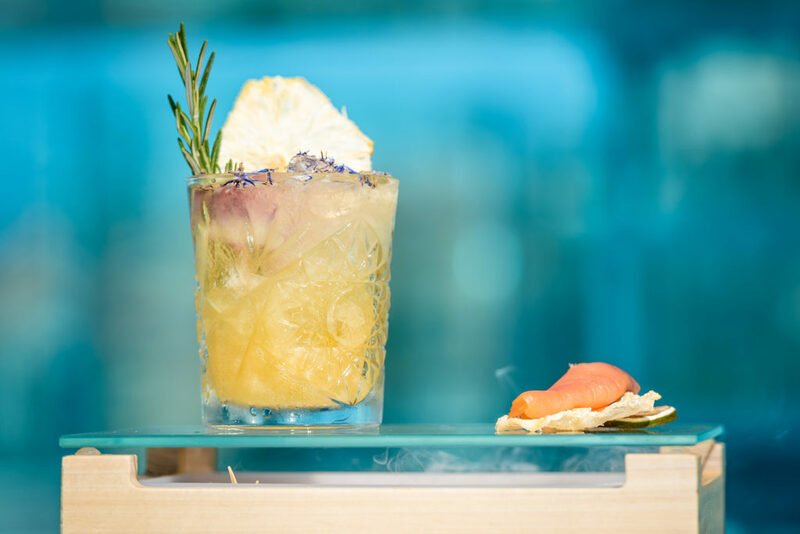 Daniela’s cocktails has a much more innovative vision and is inspired by a multitude of elements, such as the investigation of techniques and flavors to obtain unique and impressive cocktails. It sounds tasty, right? If you love the most creative inspiration, you have found in her the ideal person for your immersion in the world of cocktails. Daniela Garbi is an authentic passionate about the combination of flavors and has come to bring the freshness of the latest trends in this art. “My school was the Dry Martini in Barcelona, where I learned everything about technique and customer service. I went to London with the intention of improving my English and knowing the cradle of the mixology, and I found myself in a most exclusive place serving cocktails to celebrities such as David Beckham or Nikki Minaj, who were looking for intimacy and well prepared drinks. In Ibiza, on the other hand, I learned a lot about how to deal with VIP clients and, at the same time, how to offer a very personalized service “. As a good lover of the island and, despite the fact that one of her greatest inspirations is traveling, Garbi has preferred the quality of life in Tenerife to continue her career. “From each of the places I’ve been I have different experiences and sensations”, she tells us in reference to her inspiration. “I have my knowledge, I know how a Daiquiri is made, but I’m traveling and seeing how they do it in different places and then I decide which is the best recipe to offer it. Even if you know the classic recipe, you can always give it a personal touch”. With several awards under her belt, Champion of Classical Cocktail in the Costa Adeje Tournament, first classified in the Jerry Thomas Contest and semifinalist in the Worldclass Competition of the Canary Islands, Garbi does not lack funny anecdotes to tell us. With this predisposition to meet all requests, we are sure that our guests will feel at home thanks to her.